Critical Thinking Blog: All Opinions Are Not Equal: Global Warming: A Generational Mission? Global warming is a big problem, with many consequences. The question is, where should this fall on our priority list? Many people devote themselves to causes because they stumble upon them. Like a ballplayer who starts a diabetes fund because their kid gets it. The problem becomes real, because we see it. 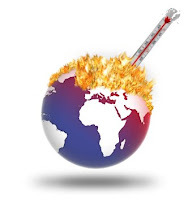 Global warming became real to us through news stories, celebrity spokesmen and movies. But, are there other problems, bigger than this, that we simply haven't stumbled upon yet? The 2004 Copenhagen Consensus sought to develop a comprehensive list of global challenges and opportunities, prioritized based on the amount of good that can be accomplished per dollar spent. Topping the list are HIV/AIDS control, providing micronutrients to the impoverished, making trade free, and malaria control. Climate control bottomed out the list, simply in terms of the amount of good done with the amount of resources required. For example, $1 spent toward HIV/AIDS treatment does about $40 worth of good in terms of fewer dead, fewer sick, and less social disruption. For every $1 spent on the Kyoto Protocol, we will do about 30 cents worth of good. Perhaps this a callous way to look at it? But, if our desire is to truly accomplish as much as we can with the resources we have, shouldn't we look to prioritized lists like these as our starting point for discussion, and prioritize our spending percentages to match these lists? So, that's where I'm at. Help me out. What do you guys think? Well we have to make our global warming dollars go farther. If we had a large pool of money to spend, here on a desk, and for whatever reason we knew that each dollar went further on behalf of global warming rescue than it did for AIDS research/cure, the opposite of what you put forth in your post, we'd probably have to prioritize AIDS over global warming because of the vast number of immediate deaths. So, I think we might need HIV/AIDS control a bit more right now. But climate issues have to remain in the upper tier. If we'd seen the AIDS epidemic coming decades ago, there would've been a movement to spend money on finding a cure or on planning to contain its spread, etc. So, we need to do better than 30 cents. Sadly I need to go back to school for 10 years, probably, to figure out how to do that. Basically global warming really isn't that big of deal. What we should be focusing on is how to get back to the moon, or what to wear for Halloween. Emily, I agree we need to do better than 30 cents. What if we look ahead to what the effects of global warming are/will be and determine whether the most effective way to spend our money is on attempting to regulate global temperature or eliminating the negative results, such as malaria as mentioned previously. Wouldn't this be the most efficient "global warming rescue"? And wouldn't it be easier for people to prioritize the tangible effects of global warming? i think both emily and anonymous are right, and that's actually what I was trying to say all week. Sorry for the poor communication. The Copenhagen Consensus numbers do aim to take into account future problems as well when prioritizing for today.